Blepharitis (blef-are-eye-tis) is a usually non-contagious and common eye disorder that affects all ages and both sexes, and may be associated with bacterial infection or skin disorders such as rosacea or seborrhea. It inflames the eyelash follicles along the edge of the eyelid, forming dandruff-like scales on the eyelashes. Oil glands (meibomian glands) run along the edges of the eyelids, and when these glands become irritated or inflamed, the oil secretions thicken and do not flow properly. The meibomian secretions are an important part of a healthy tear film, and their absence can cause the tear layer to become unstable or evaporate quickly. Although most experts treat it as a serious condition, blepharitis alone is not known to cause any permanent damage to eyesight. If blepharitis is severe, then related problems affecting the cornea can threaten vision. Eye care professionals usually become aware of the condition in the course of comprehensive eye examinations. How Many Types of Blepharitis Are There? Blepharitis can be divided into two sub-types based on whether it predominantly affects the anterior (front) eyelid structures or the posterior (back) eyelid structures. Some people have predominantly anterior or posterior blepharitis, and some people have both. Anterior Blepharitis: This type affects the outside front edge of the eyelid, where the eyelashes grow, and is usually caused by bacteria (staphylococcal blepharitis) or dandruff of the scalp and eyebrows (seborrheic blepharitis). In rare cases, it is caused by allergies or an infestation of the eyelashes by mites or lice. Posterior Blepharitis: This type of blepharitis affects the meibomian glands, which are located just within the eyelid margin. There are twenty to thirty meibomian gland openings on each eyelid margin. The inflammation causes thickening of the oil secretions so that the oil does not flow as well, causing secondary dry eye and chronic inflammation, redness, thickening, and notching of the eyelid margin. This condition may also be referred to as rosacea-associated blepharitis, because it is often seen in people with rosacea. What Causes of Blepharitis To Develop? Causes for blepharitis can develop for a number of reasons. In many cases it’s either by bacteria or by the skin condition called seborrhea, which is similar to dandruff. Other times it’s due to severe allergies or plugged oil glands and rosacea. Although it is not as common, Causes of blepharitis is sometimes due to an infestation of the eyelashes by mites or lice. What Are My Treatment Options for Blepharitis? 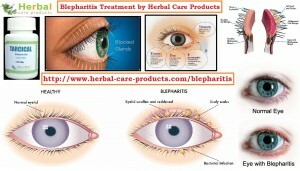 Depending on which type of blepharitis you have, there are a variety of ways treatment of blepharitis. With any type of blepharitis, the cornerstone of Blepharitis herbal treatment is keeping the eyes clean and free of debris with hot compresses and gentle lid hygiene. Warm compresses are a mainstay of all treatment for blepharitis. The heat and moisture can soften flakes and debris on the eyelashes, making them easier to clean. The heat also helps to encourage the flow of oil from the meibomian glands. Blepharitis natural treatment is a chronic condition, and it is helpful to make warm compresses a part of your daily routine, and to apply them more often when symptoms flare. After a warm compress, gently massage the eyelid margins to prompt the flow of oil from the meibomian glands. Gently wash the eyelids and eyelashes with baby shampoo diluted with water, or a commercial eyelid cleanser such as those made by Ocusoft. Wrap a washcloth around your index finger or use cotton swabs to clean. Avoid rubbing too hard, and rinse with warm water when finished. Discontinuing use of contact lenses until symptoms improve. When a contact lens wearer experiences redness, pain, and/or blurred vision, he or she should always remove the contact lenses and contact his or her eye care provider for advice, as this may signal a more serious issue. Take omega-3 fatty acid supplements, because omega-3 helps with the proper function and regulation of the eyelid glands and has an anti-inflammatory effect. Always tell your primary care doctor about any supplements you are taking. They may interact with other medications you take. Blepharitis natural remedies is a chronic and incurable condition, but the symptoms can be controlled with the right treatment regimen. If your blepharitis is severe, it may require a variety of different treatments or a more complex plan. Some people take a short course of topical antibiotics when blepharitis symptoms flare up (occasionally in conjunction with steroids, but only under a doctor’s supervision). Most patients are able to control their blepharitis symptoms, and the overall prognosis is good. 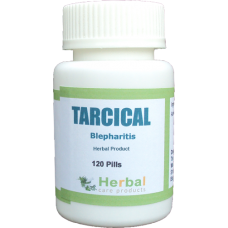 Also keep in mind that if an underlying condition is the cause of your blepharitis, treating that condition is important to your blepharitis herbal remedies plan. Call your eye care provider for an appointment if symptoms worsen or do not improve after careful cleansing of the eyelids for several days. What’s the Prognosis for Blepharitis? In most cases, symptoms improve with treatment. For most people the condition is chronic, and symptoms come and go. Symptoms recur once treatment stops. Although symptoms have the potential to be severe, it’s rarely considered serious. In the Future, How Can I Prevent Blepharitis? Which over-the-counter cleansers do you recommend to reduce the crusting in my eyelashes and eyelids? What can I do to help control my symptoms and prevent flare-ups? How long should it take for my symptoms to improve? Do you know of a dermatologist or allergist who could help me? Am I showing signs of skin conditions like rosacea or seborrheic dermatitis? Will I need prescription-strength medication? How much does medication cost? What can I do to reduce my risk of this condition recurring?